A life sim that casts you primarily as a farmer growing crops and raising livestock but also features fishing, cooking, crafting, mining, combat, and romanceable NPCs. The game is heavily influenced by the old Harvest Moon or Story of Seasons games, and is presented in a similar three-quarters overhead pixel-art style. While your farm is evaluated after three in-game years, the game is open-ended and you can continue playing and tackle whatever goals you like in whatever order you like. The game imposes a rhythm via days and seasons that progress in real time. The player character wakes up at 6:00 AM each day and will pass out from exhaustion at 2:00 AM the following night if they do not go to bed first (which is advisable, as staying up past midnight causes them to have less energy the next day and passing out also costs money). An in-game hour passes every forty two seconds and NPCs also have daily routines and can be found at different places at different times. Each season lasts twenty eight in-game days and has different events, growable crops, and catchable fish. 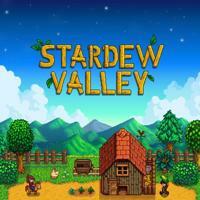 While Stardew Valley is often held up as a very relaxing game, I found the short days substantially damaged my ability to relax and enjoy it. I didn’t feel like I could casually explore the environs and seek out NPCs because I had to make sure to leave enough time to get back to my house before midnight, which could take quite a while thanks to a slow run speed and vague map. Since there are other mechanics that tie into the daily rhythm - you only have so much energy for farmwork, crops take a certain number of days to mature, and so on - the real-time clock felt like an unnecessary addition which just increased stress and removed the ability for me to take my time and set my own rhythm. It also made me feel like I couldn’t justify engaging in time-consuming side activities - fishing takes quite a long time, as does finding NPCs to romance due again to the slow run speed and the fact that their routine means they move around so even a systematic search may not find them. Even the rote steps involved in farmwork felt tedious rather than meditative because I was constantly aware of how much in-game time they took up. I know there are many surprises and systems I didn’t even see - I never set foot in the mine, for example. But to enjoy a game of this structure, you have to enjoy the core loop. Most individual activities don’t have much depth and function best when the player can weave them together for variety and interconnection. But the day cycle left me unable to do that in a way I was happy with since it constantly interrupts the game’s pleasant escapism and prevents the player from setting their own pace. I Stopped Playing When: I played about an in-game week and realized I had no interest in continuing since I’d seen nothing compelling enough to overcome the stress of the short day cycle.